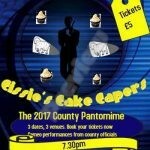 AS it is a Pantomime year in YFC circles the current Pembrokeshire County Officials took to the stage once more to perform a County Pantomime. 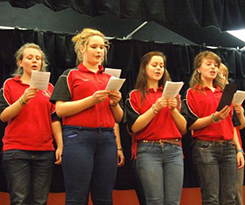 At three venues across the county, County Officials made up of current and past members gave their heart and soul to showing members that it’s worth having a go and how much fun can be had competing on a YFC stage. 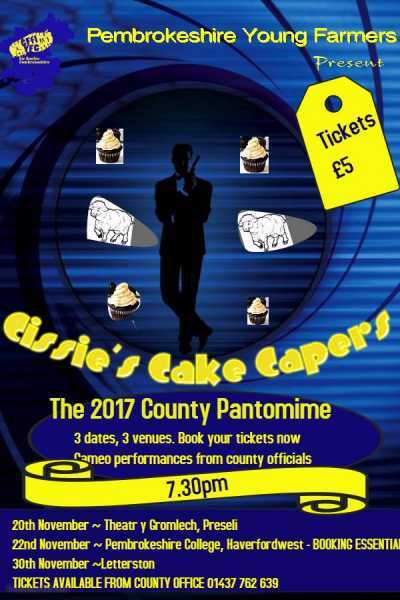 It provided three fantastic evenings of entertainment, and a small glimpse of what the YFC youth movement does so well in Pembrokeshire. The members will now take to the stage in February with a Welsh and English competition by the members.